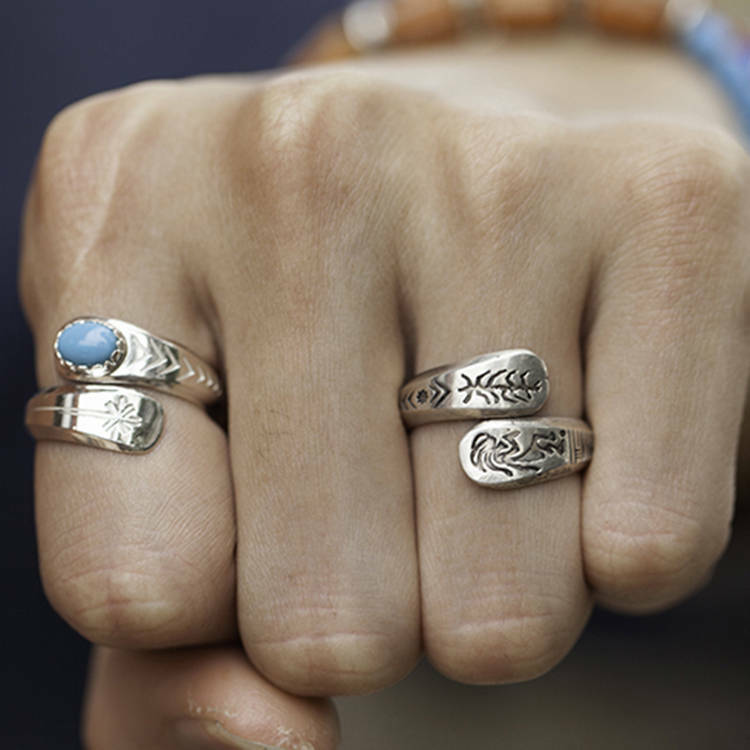 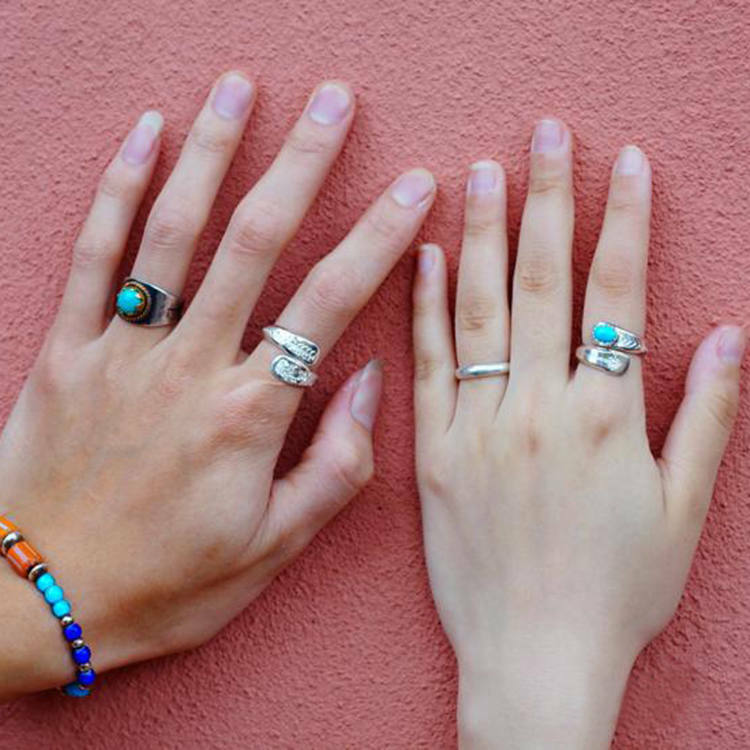 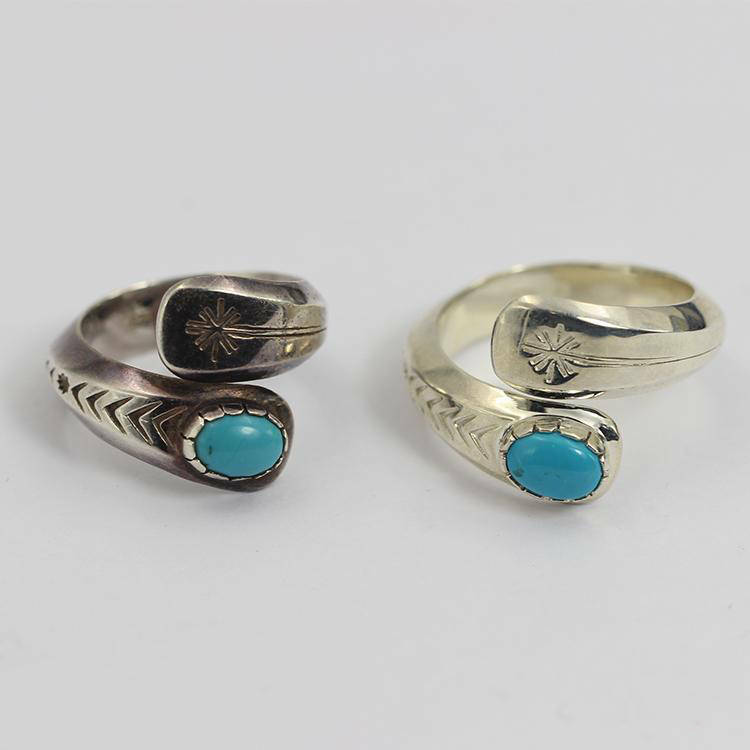 The silver wrap ring is a dainty design crafted for a unique style - decorated with subtle patterns inspired by Hopi Indian art. 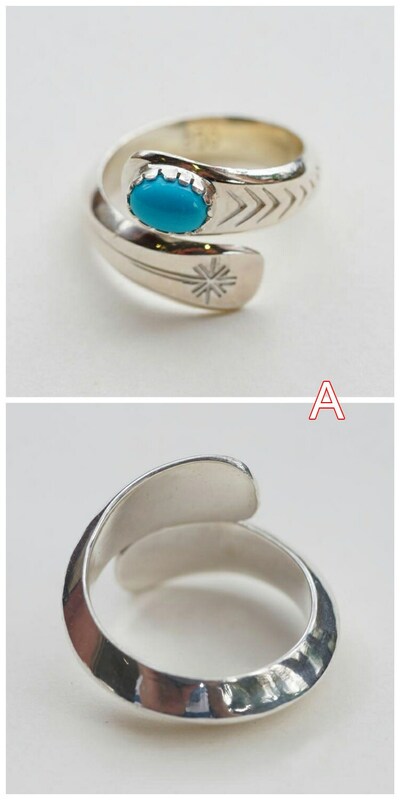 A single slim silver bar is twisted into a gentle spiral - its two ends slightly overlapping each other at an angle. 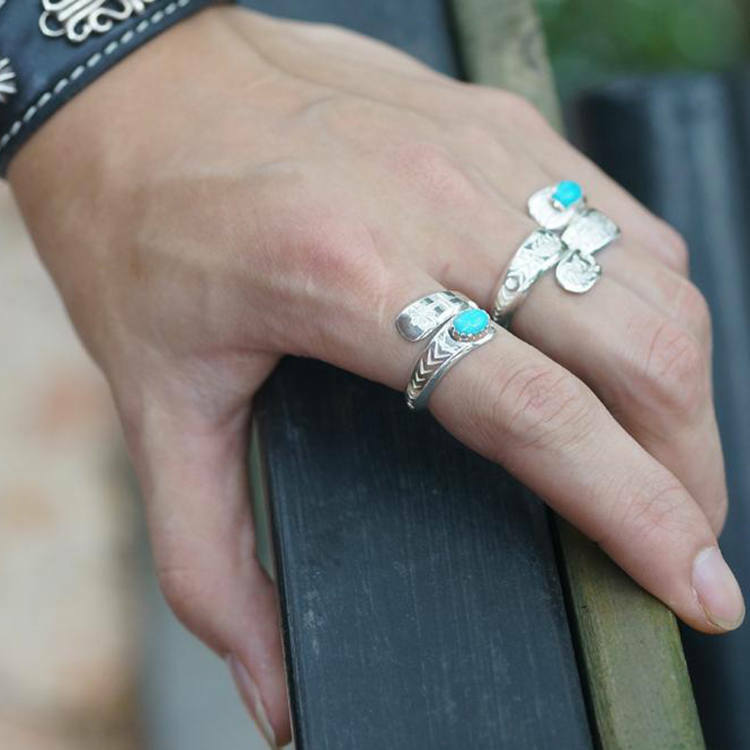 An elegant, lightweight silver ring that is stylish and comfortable to wear. 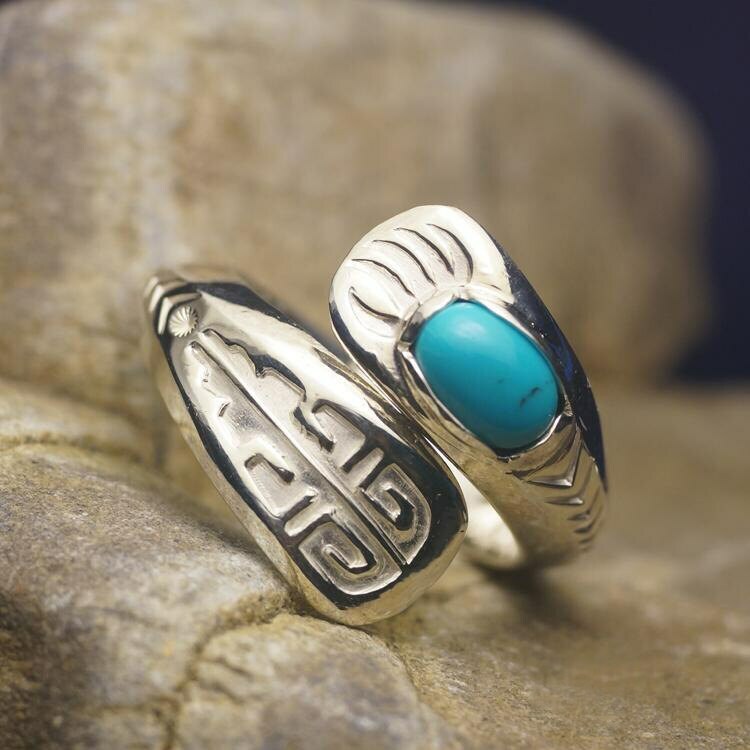 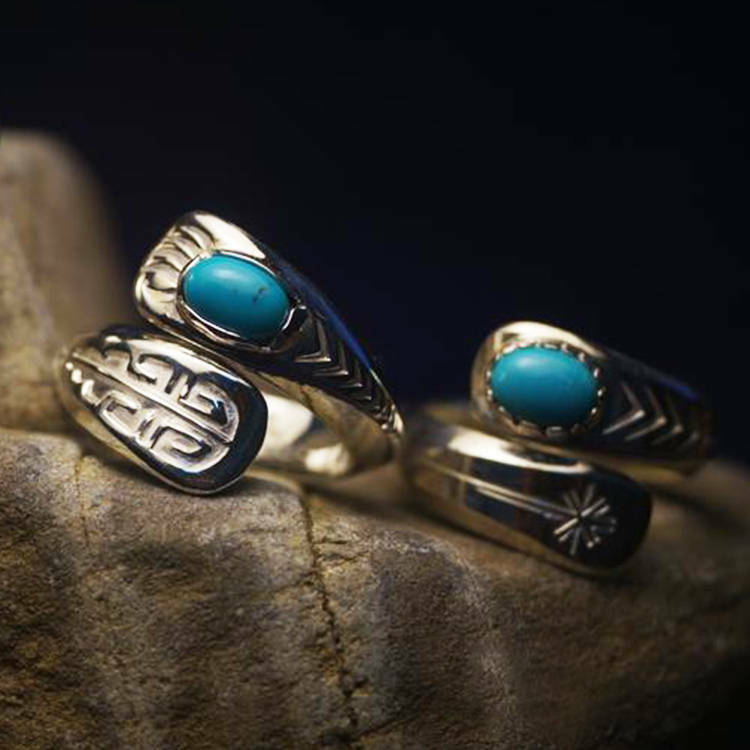 A natural turquoise gemstone is embedded on one end of the ring, and the other end features an engraved pattern. 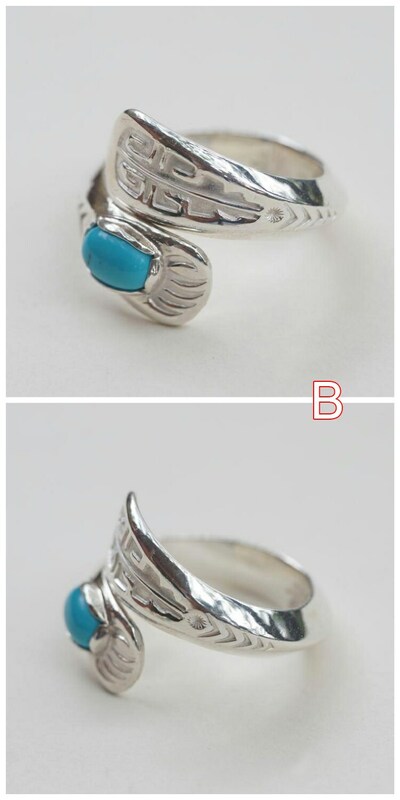 Available in two different styles (note images labeled A and B above).